Note: While I’ve divided these steps into sections, when you’re developing new language resources chances are that many of the tasks from Part 2 will happen concurrently with the ones in Part 3. When labels will have multiple languages on them, decide on the order the languages will appear and stick to it. This makes it much easier for visitors to know where to look within a text to find the language they want. In the past, I wondered about the value of changing the language order within an exhibit, as a way to try and avoid creating a “hierarchy of languages.” It’s an interesting idea, but it’s not a practical or functional one. When it comes to visitors being able to quickly and effectively use the tools you’ve created for them, consistency is key. At the Húsavík Whale Museum, the labels are always written in Icelandic, then English, then German. 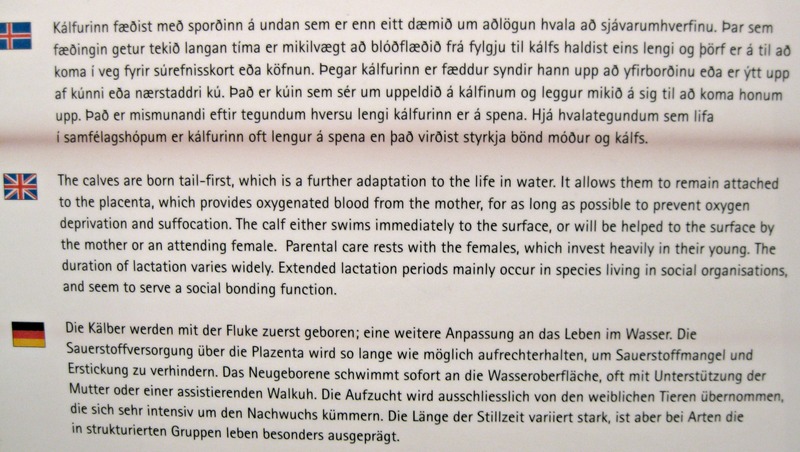 Even when the texts aren’t on one panel, the order still goes Icelandic, English, German. 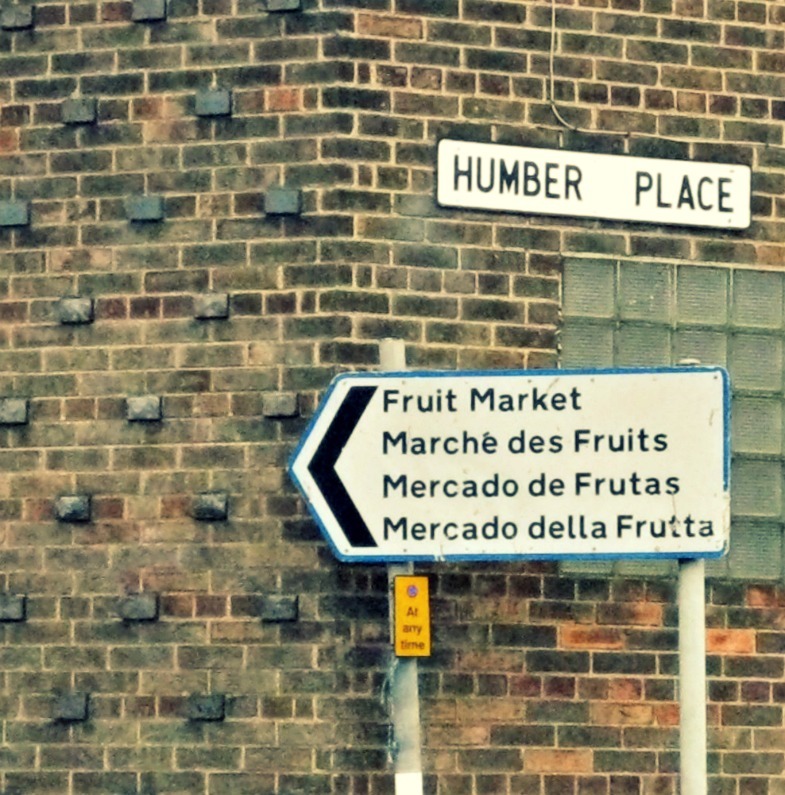 Use consistent visual cues to differentiate languages on a text panel. Indicators like colors or symbols that are easily distinguishable from one another help visitors quickly find the language they want on a panel and also break up what might otherwise look like a dense chunk of text. 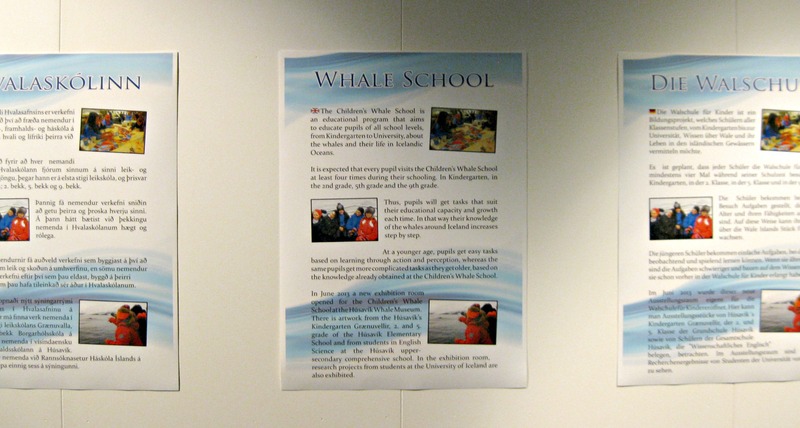 From the Húsavík Whale Museum. 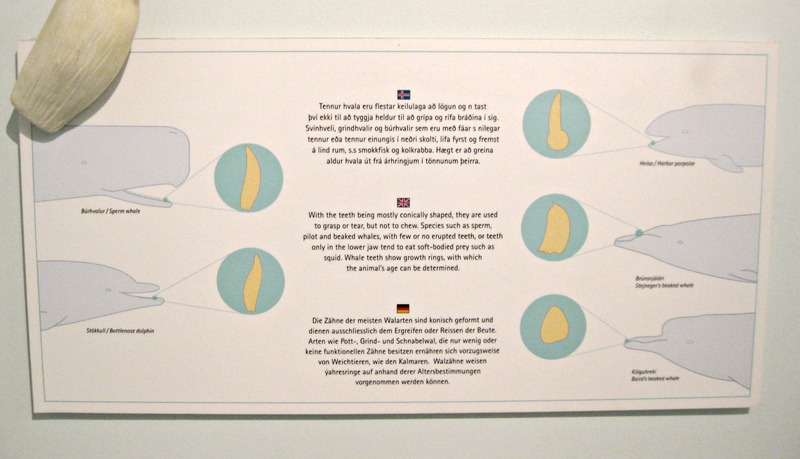 Flag symbols clearly mark which sections of the text are in Icelandic, English, and German. Dedicating label space to multiple languages means that, in the end, the space available for each language will be shorter. Instead of panicking and using a smaller font to try and squeeze everything in, embrace the challenge of finding shorter ways to tell fewer stories. Depending on the languages you use, there may be noticeable differences in length between texts. When I work with dual English-German texts, the English texts tend to be around 5-10% shorter. This is the nature of the differences in language structures, and length is not an indicator of importance. If your labels are similar content but different lengths, don’t adjust the font or spacing, or abbreviate the content in order to make the languages “match.” Not only can it make the labels harder to read, but it can also (unintentionally) create a hierarchy of importance where the larger font (which often ends up being the English one) is associated with importance and superiority.